If you don't really know one or any of these that's still ok as we don't focus too much on the code but if there is something you don't understand just leave a comment below and I'll get back to you as soon as I can. What kind of extensions can I build? You can build whatever your heart desires to build. There are a few main "types" of extensions you can build though which give you a better idea of where to start. Let's break them down by what you might want to do. What does this mean? Color themes and Icon Themes. A Color theme is actually a great place to start for your first extension. Let's first break them down a bit more for better understanding. 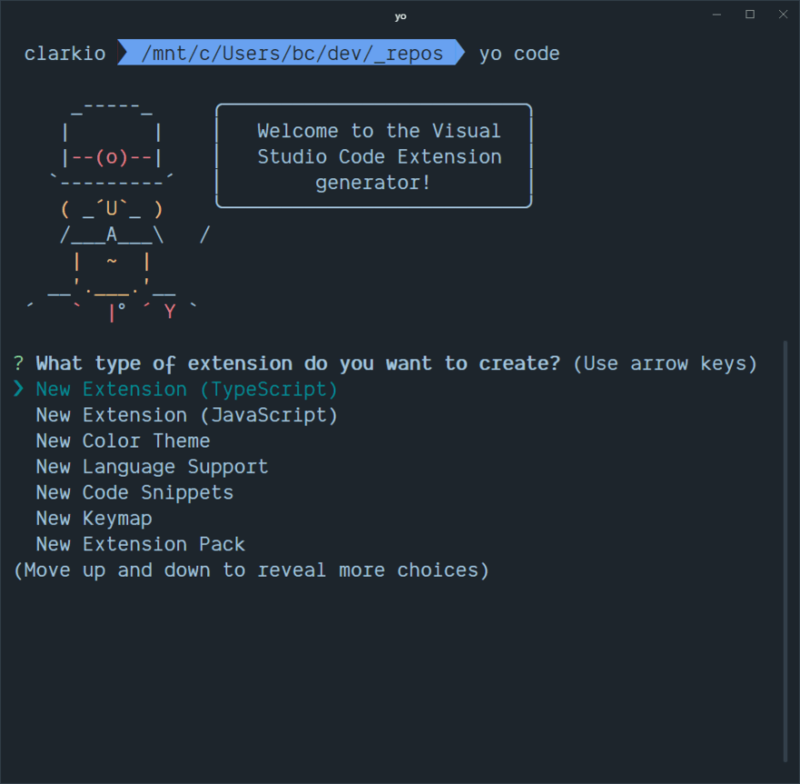 This type of extension customizes the visual look of VS Code. You can change the colors of sooo many different aspects within the user interface (UI). this can be quite overwhelming. Using an existing theme you like but want to tweak is a great way to get started with creating your own theme that you'll actually use. Doing so will give you a lot of example color changes that you can tweak and see the result quickly. However we'll see how easy it is to get started from scratch soon. This type of extension customizes the graphics associated to file/folder types. A great example of this is the Material Icon Theme (which is what I use). What does this mean? It means there is some existing capability/feature in VS Code but you wish it had something more to it. A simple example of this is creating new keymaps that make it easier for someone who's used to certain keyboard shortcuts found in another editor. A similar example is an extension that provides code snippets to generate common code that is reused in Node.js applications. What does this mean? It means VS Code doesn't provide some sort of functionality that you're looking to use. In that case we build out an extension that adds that functionality. 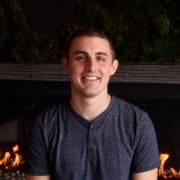 Problem: No native support for connecting with Chrome's debugger for front end web development. What does this mean? You bring many extensions together under one pack that help fulfill a specific focus/category of actions. Essentially there are many extensions out there that alone are great for the type of development you may be doing but you may not be aware of them all. Someone can gather them together to make them easier to find and install at once. An example of this is the Angular Essentials extension pack that packs a bunch of Angular related extensions into one place. 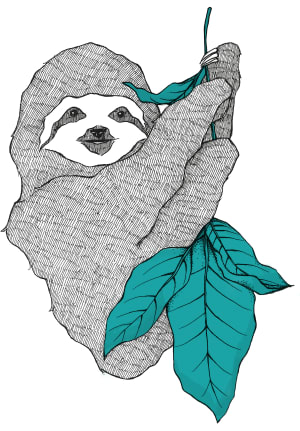 Check out the source code on GitHub to see what's involved in creating one. One of the simplest extensions you can start with is a Color Theme extension. Let's step through building one of those now. You'll be prompted to choose the type of extension you want to create. Use your keyboard arrow keys to move to the "New Color Theme" option and press your Enter key. Next, you'll be prompted with an option to import or convert an existing color theme. Choose the option "No, start fresh"
From here, the prompt will ask you to provide details about the extension. name: this determines the folder it will create in your current directory. identifier: this is what will be used in the extension marketplace for others to find it so make sure this is unique if you plan to publish this later (I generally use my username handle followed by the name of the extension/theme). When you've finished entering all the options for your color theme press the Enter key for the last prompt to start generatoring everything. You'll see some progress in the terminal/command prompt which shows the files and folders it is generating for you. 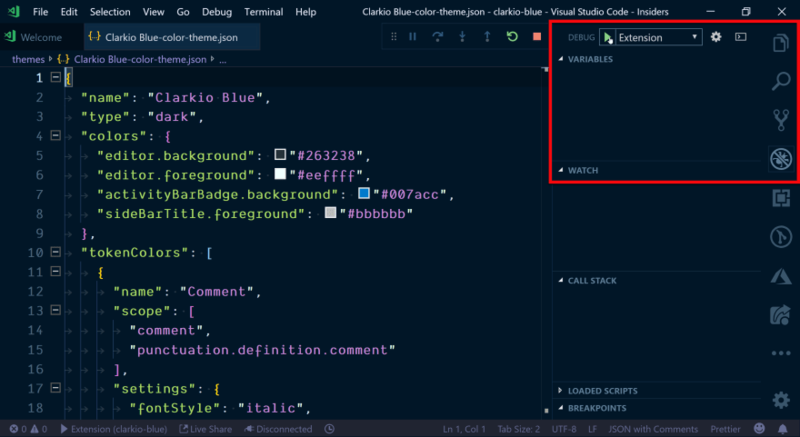 When it's done you should see a message that says the following: "To start editing with Visual Studio Code, use the following commands:" Run the commands shown below it and you'll see VS Code open the folder for your color theme extension. Open up the debugger view in VS Code using the keyboard shortcut CTRL/CMD + SHIFT + D (or click on the icon with a bug in it). Click on the green "play" button (as seen in the screenshot below) to start debugging/running your color theme extension. Once running you'll see a new instance of VS Code open up with a title of "Extension Development Host". This is a separate instance of VS Code running with your extension loaded into it. 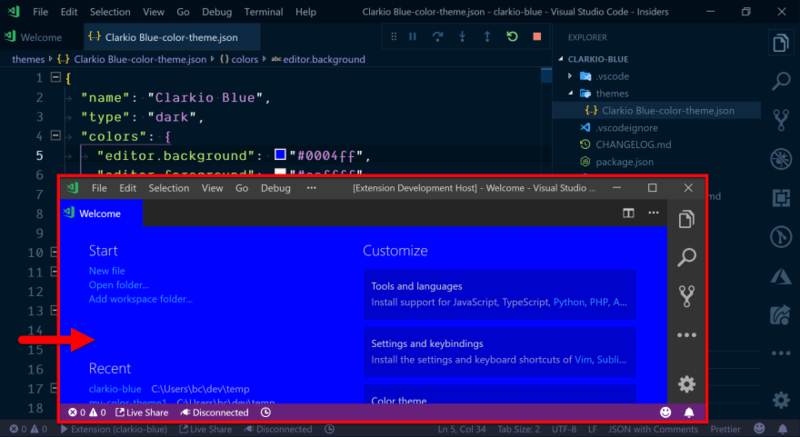 Back in a previous step when generating this color theme extensions in the terminal/command prompt I chose the "Dark" option for my base theme so I see this as the default color in the Extension Development Host instance of VS Code. You may see different colors based on the base theme you chose during that step. Let's test out changing a color to the theme. 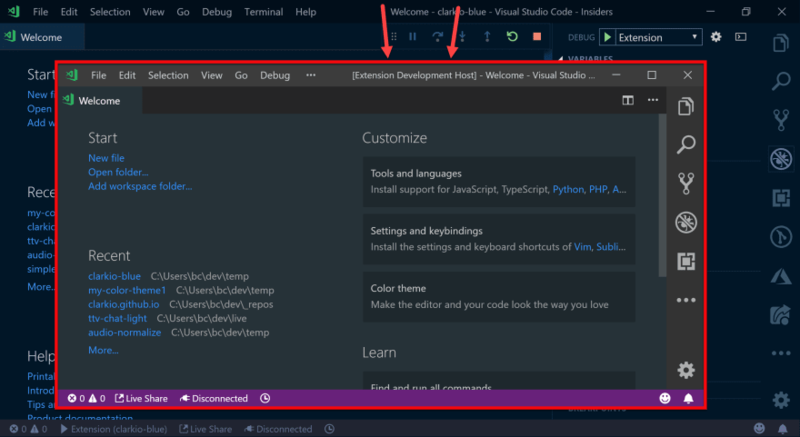 Go back to your other instance of VS Code that has the extension folder opened. Expand the "themes" folder and double click on the .json file to open/view the contents. Now find the editor.background key in the JSON file under the colors key. Hover your mouse over the string value to bring up the color picker view in VS Code. Carefully move your mouse into the color picker pop up view and change the color to something different. You'll see the string value change. 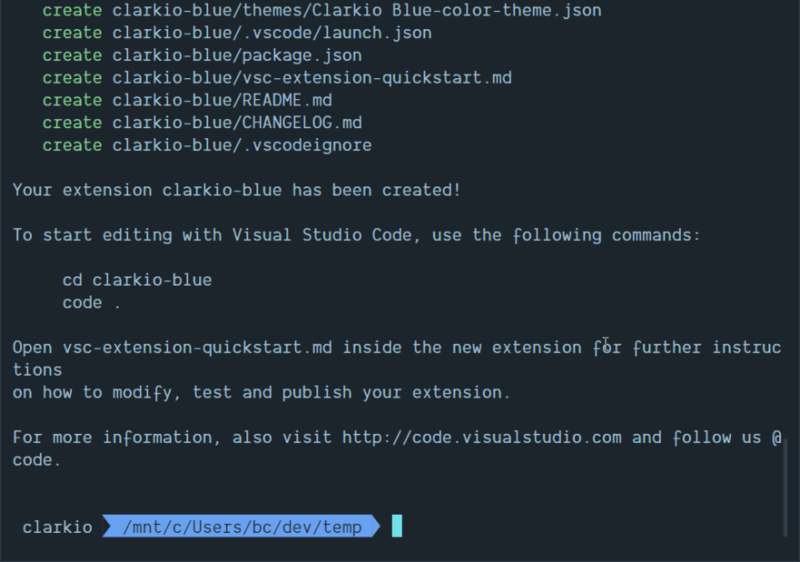 Once you save your changes you'll see the "Extension Development Host" of VS Code will automatically update and display the color change. You've done it! 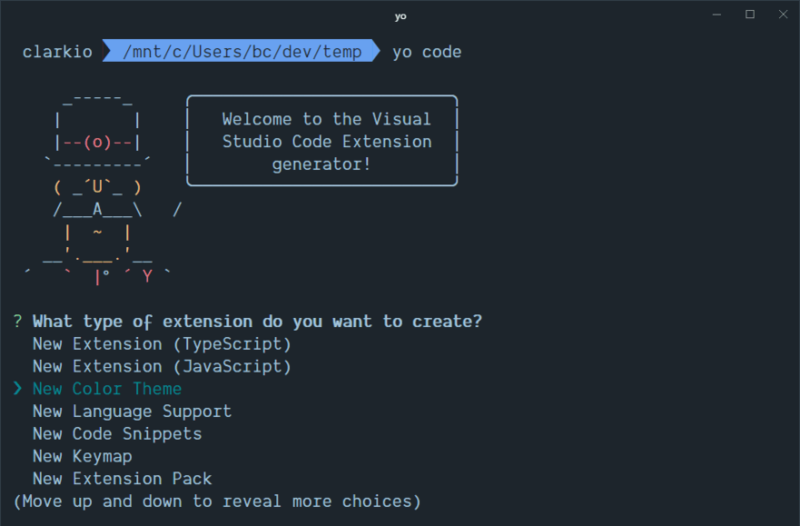 Congratulations on creating your first extension for Visual Studio Code! 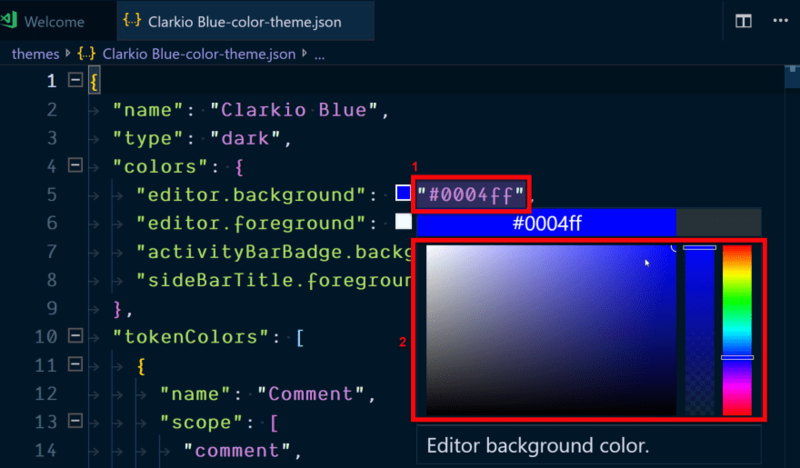 Feel free to continue tweaking color options in the .json file to further customize your color theme extension. Creating a color theme extension is great and all but it doesn't dive deep into enhancing or creating features within VS Code. Let's walk through creating an extension that results in creating a file that lists all the extensions we're using in VS Code. You'll be prompted to choose the type of extension you want to create. Use your keyboard arrow keys to move to the "New Extension (TypeScript)" option and press your Enter key. identifier: this is what will be used in the extension marketplace for others to find it so make sure this is unique if you plan to publish it later (I generally use my username handle followed by the name of the extension/theme). 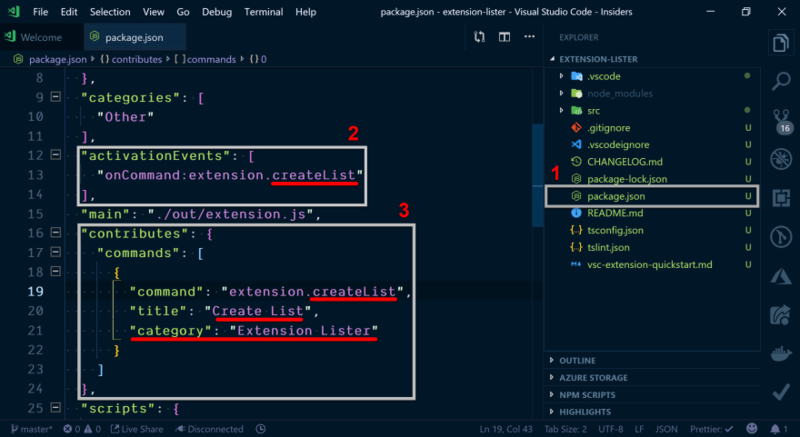 VS Code extensions leverage package.json as their manifest and extend it with some further options beyond the conventional options. We won't go into detail for all of them but we'll need to change a few for the purposes of this extension. Open up the package.json file and find the activationEvents key. This defines what action will activate your extension. At the moment it's defined to activate your extension when the command "helloWorld" is triggered. You'll see this as string value "onCommand:extension.helloWorld". To make sure we keep things consistent with the intent of this new extension replace helloWorld with createList as that will be the name of the command we'll create. Shortly below the activationEvents key you'll find another key contributes. 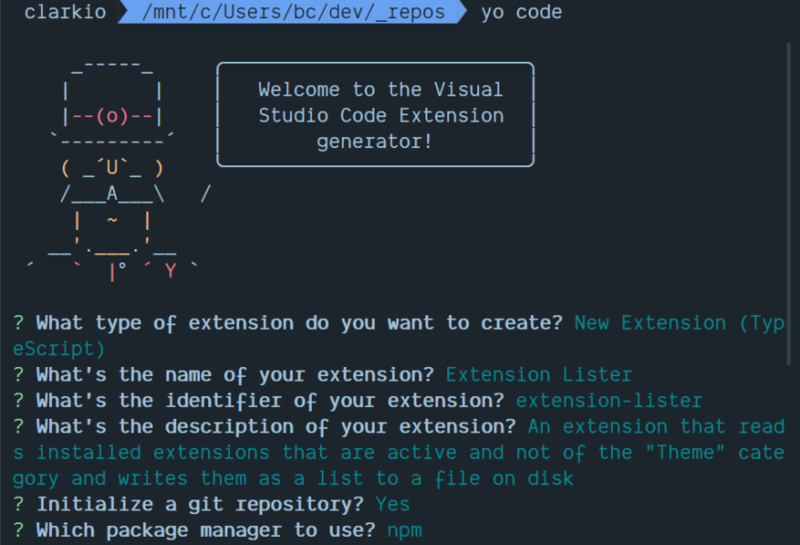 This defines the many ways your extension can "contribute" to VS Code. At the moment it has one option defined and that is via the commands option. This is an array defining various commands the extension will make available to VS Code via the command palette. You should see one command defined as extension.helloWorld. The "extension" part of that command acts as a namespace when wiring up the command within VS Code and the "helloWorld" part creates a unique name for the command within your extension. We need to make sure this gets changed to match what we updated in the activationEvents so replace helloWorld here with createList. Let's get into building out the functionality for this extension. Within the src folder you'll see a file extension.ts. This is the main file that's used to load up your extension and corresponding functionality. Take a moment to read the comments within the code that helps describe some of the parts of code that were generated for you... Seriously go read it and come back. Now that you're a bit more familiar with the code let's get our first command set up. We first need to update our command code to match the changes we made in the package.json. Find the code registerCommand('extension.helloWorld' and replace helloWorld with createList. If you run and debug the extension with a breakpoint on this line you'll notice the array contains literally all extensions installed and available for the instance of VS Code the extension is running within. Feel free to try this yourself now but it is not required. 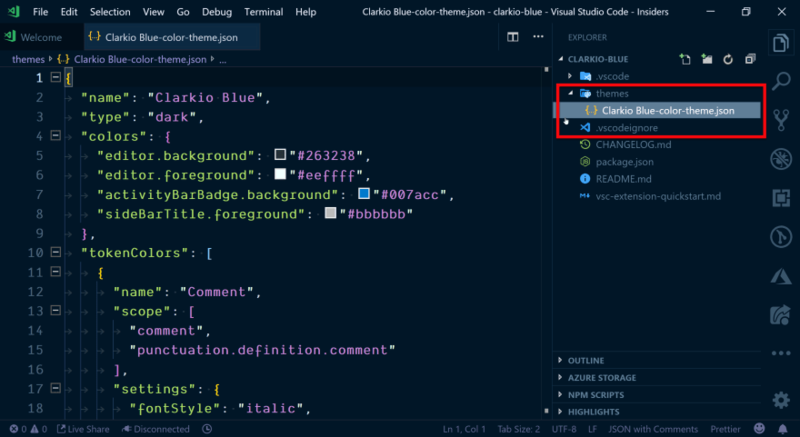 This is a good start but if you inspect collection of extensions you'll notice it includes extensions that are built-in for VS Code, ones that are not currently active and extensions that are themes. Being that we're getting extensions outside the scope of what we want to include in the list (active, non-theme type, extensions) we need to filter some of these results first. Add the following array method, filter, to capture the extensions within scope. // thanks to TypeScript and the exposed Extension type from the VS Code API we get intellisense to see the properties of each extension. At this point we have the data we need and in a human readable format so we're ready to ask the user where they want to save this file. For visual prompts and queues VS Code provides options via its window namespace. In particular we want the showSaveDialog function. There are some options/arguments we can provide to it such that it helps create a better user experience in this dialog. We know this will just be a plaintext file so we'll provide a filter option that says to limit the file type to *.txt. 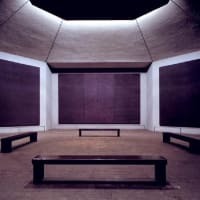 We want to implement writing to a file on the Operating System's file system, however, we shouldn't pollute our main extension code with that code. Let's create a separate file to handle writing a file to the file system. Open VS Code's file explorer view by clicking on the icon or using the keyboard shortcut CTRL/CMD + SHIFT + E. Right-click on the src folder and choose "New File"
What does this code do? It's calling the function writeExtensionListFile and passing in the full file system path value (a property on the uri object) and the contents we want to be written to it. If that goes through successfully we let the user know through the vscode.window.showInformationMessage() function otherwise we show an error message with the vscode.window.showErrorMessage() function. How about we give it a run and test it out? Press F5 to start debugging or open the debug view in VS Code and press the green "Play" button. 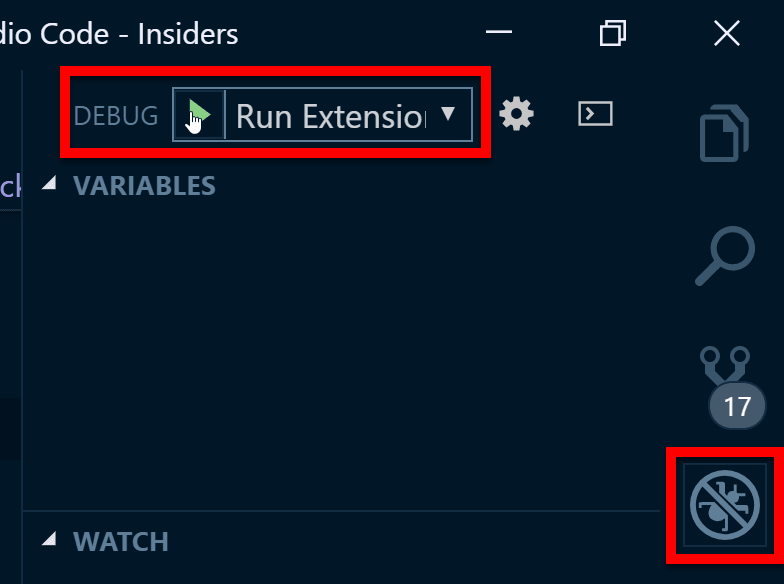 You'll then see a new VS Code instance load up with the title "Extension Development Host" that has your extension running within it. Open the command palette using the keyboard shortcut CTRL/CMD + SHIFT + P and type lister to see the available command for our extension. Press the "Enter" key on your keyboard and you should be prompted to choose a location and name for your file. Pick a location and name for your file and click the "Save" button. You should see a success notification pop up in the bottom right-hand corner of VS Code. Just to make sure go to where you saved the file and open it to see the contents. You should see the full list of active extensions you're using with their marketplace URLs. Congrats you've created another VS Code extension and one that adds new functionality! How do I publish the extension? Rather than write that same information again here take a look the Publishing Extension documentation. 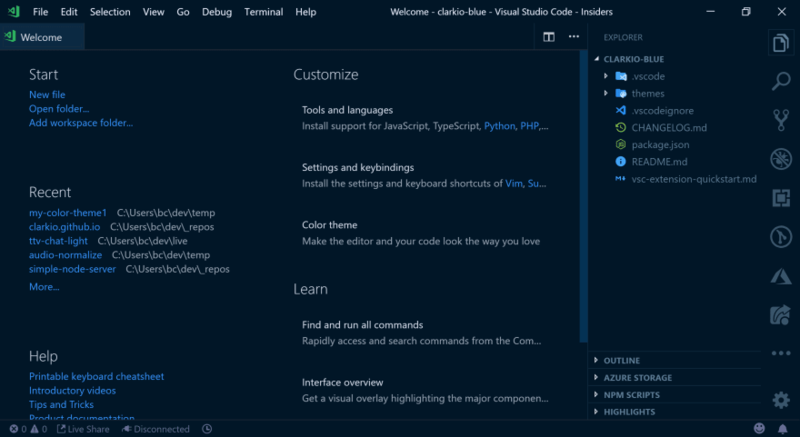 The documentation provided on the VS Code website is pretty straightforward and easy to follow so check that out for further details. The best place to read up more on VS Code extension development is at the official VS Code API Docs site. There you'll find a table of contents on the left-hand side that is expandable and breaks out important topics around extension development. If there are more questions you have that haven't been answered here let me know in the comments. I'll check in regularly and follow up with a response or a post if it's more appropriate in that format. Thanks for reading this post and I hope you found it helpful.